India began the series with a thrilling win at Adelaide. Hanuma Vihari and Umesh Yadav replaced the injured duo of Rohit Sharma and Ravichandran Ashwin during the second Test at Perth. The changes did not quite work as Australia cruised to victory to level the series. 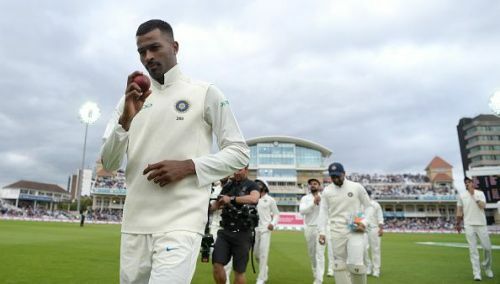 The second Test had the same old story as the top-order and lower-order batters failed to contribute to the team total. The third Test will start on Boxing Day at the iconic Melbourne Cricket Ground. Mayank Agarwal and Hardik Pandya have been included in the squad to offset injuries to key players. Let us take a look at three possible changes that India might make in the third Test at Melbourne. An all-rounder like Hardik Pandya, who can bowl fast and be handy with bat, will be a crucial member in the team. India had been missing his services in recent times. With his affinity to hit the ball hard, his batting skills could work on seam-friendly pitches. Hardik was instrumental in India's lone Test win during their tour of England this year. After being out of action due to injury, he returned by scalping 7 wickets in a match (including a 5-wicket haul in the first innings) against a strong batting line-up of Mumbai in the Ranji Trophy. The right-hander also scored 73 runs in the only innings he played. Aside from being inexperienced with the bat, Hanuma Vihari is not a big turner of the ball and does not get much bounce from the pitch. It is highly likely that skipper Kohli would want an all-rounder to lend balance to the lineup.